There’s no question that going paperless can be a time, money and resource-saving move for manufacturing and distribution organizations of all sizes. Paperless Manufacturing software has helped prominent companies such as American Metalcraft. Olds Products and Fitzpatrick Brothers achieve their goals to automate business processes and become paperless manufacturing environments. In the case of American Metalcraft, Chicago-based American Metalcraft has been providing restaurants, hotels, resorts and clubs with the supplies they need. Since 1897 Olds Products has produced a wide variety of mustards most of which are private label brands along with their own brand, Koops Mustard. Fitzpatrick Brothers has been manufacturing a variety of powder cleansers since 1894. The bottom line — ERP software made business-life better and easier for Olds Products / Fitzpatrick Brothers. ddx saves Olds a tremendous amount of time, effort and money on a daily basis. To learn more about how fast, affordable, and secure paperless manufacturing software solutions keep operations efficient and easy to implement, read our whitepaper. 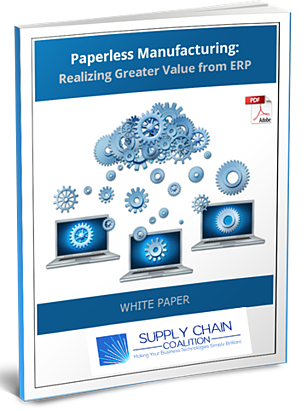 Complete the form on the right and receive instant access to the whitepaper: Paperless Manufacturing: Realizing Greater Value from ERP.